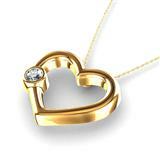 Wouldn't you love a chance to win this gorgeous Solitaire Diamond Heart Shaped Pendant in 14k Yellow Gold? I know I would! Well guess what? You all have a chance! If you haven't heard of Zoara before this, then this is the perfect chance to check them out! My favorite thing about Zoara is that they have an amazing collection of unique engagement rings, AND you can even design your own engagement ring. Isn't that awesome? What woman wouldn't want her own custom ring? I know I would! So anyways, I know what you wondering now.. How do you enter?? It's really simple! The ONLY thing you have to do is "Like" Zoara's Facebook page! After you do that, your entered! The winner will be notified via a Facebook friend request, and a message on Facebook. The best part? The giveaway is open Internationally, so anybody who is 18+ years of age can enter to win! Winners will be announced on the Zoara.com winners page. 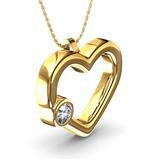 I also have an exclusive discount to share with all of you (doesn't work toward loose diamonds.) Use the code "FRUG10" at checkout to save! Disclosure: This is a sponsored post. All opinions expressed are my own, and were not influenced in anyway. This giveaway is not sponsored or promoted by Facebook. Thanks Amanda-that is really a pretty one! 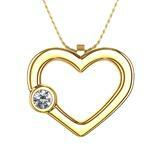 I entered Zoara's sweepstakes for the heart pendant.